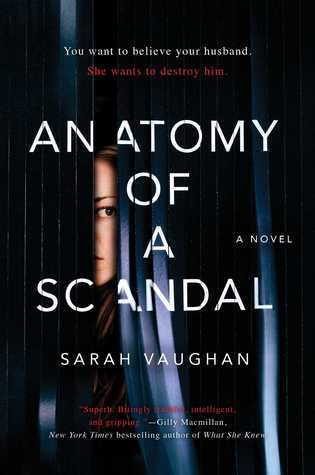 Anatomy of a Scandal was an interesting and thought provoking read. It was very different than the typical crime novel. Instead of having a lot of twists, turns and thrills, it was drawn out with beautifully detailed writing that gave the novel more of a dramatic edge. The pacing was a little slower than I was used to, but I believe this was done intentionally in order to set the stage for Kate to uncover the crimes in the courtroom. Speaking of the courtroom -- those scenes were by far my favorite portions of the novel. I loved the craftiness of the lawyers and how they used particular wording to bring out the truth without the suspect even knowing it. Kate was a thrilling and brilliant character, and I thoroughly enjoyed learning more about her with each turn of the page. 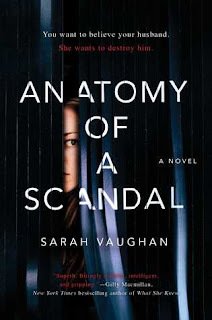 Anatomy of a Scandal was a slow burning crime novel with loads of drama and scandal. I really enjoyed this novel and loved how it made me step out of my comfort zone. I would highly recommend it to readers who enjoy crime fiction novels. It is definitely one I will be recommending all year!